How are you spending your precious 90,000 hours at work? 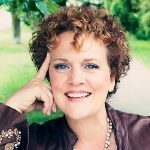 I am delighted to invite you to listen as I interview The Boardroom Poet, Libby Wagner about how to become the best version of yourself by spending your time in work in a way that inspires you and makes you proud. Libby came very highly recommended to me by my network as a true inspiration. She is a poet, author & speaker and one of the only former poetry professors warmly invited into the boardroom. As a trusted advisor for presidents, CEOs & exec directors Libby has positively influenced the cultures of numerous well known Fortune 500 clients. As a best selling author we will be discussing her latest book – What Will You Do With Your 90,000 Hours? Join us for some true wisdom to help you utilise your precious hours at work, well! Libby Wagner, poet, author & speaker, is one of the only former poetry professors warmly invited into the boardroom. Libby is a trusted advisor for presidents, CEOs & exec directors & her work has shaped the cultures of numerous Fortune 500 clients, inc The Boeing Company, Nike, Philips, SAP, Diageo & Costco. An award-winning faculty member, Libby holds a Masters of Fine Arts in Poetry & is a graduate of the prestigious Million Dollar Consulting® College—a perfect symbiosis for the poet pragmatist. She was honored 2014 Nellie Cashman Woman Business Owner of the Year & has been quoted in the New York Times & The Harvard Business Review. She is author of Amazon bestseller The Influencing Option: The Art of Building a Profit Culture in Business, poetry collections Like This, Like That and Somehow & What Will You Do With Your 90,000 Hours? The Boardroom Poet’s Thoughts on Work. In 2015 Libby released Harvest, a poetry-music compilation in collaboration with musician Owen Ó Súilleabháin.